Potassium plays an important role in balancing electrolytes but it’s often neglected on a ketogenic diet. 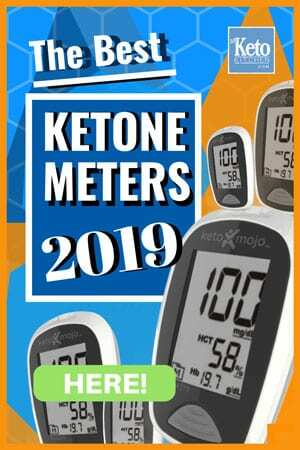 Most people know that electrolytes are an essential part of the ketogenic diet but miss potassium as an important ingredient. 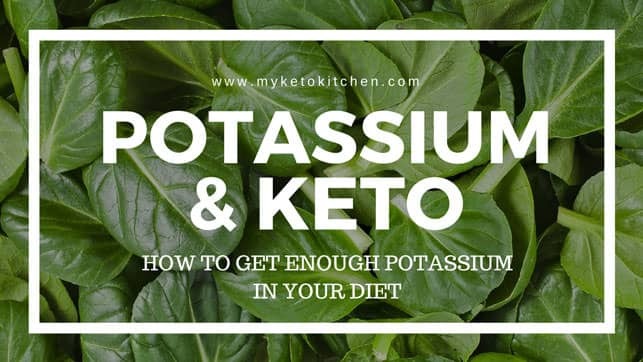 You can easily ensure that you get adequate potassium by including many low carb foods in your keto recipes. Why is Potassium so important? Potassium plays an important role in regulating minerals and fluid in the body and helps maintain blood pressure by balancing the bodies sodium stores. Potassium also supports muscle strength and contraction, bone strength and cardiovascular health. Daily potassium intake for adults and adolescents is 4,700 mg per day. Beware: Always consult your health practitioner before embarking on any supplement regime, particularly if you have any medical conditions and are taking medication. Double Beware: If you are taking medications for high blood pressure or diuretics (water pills) you MUST consult your physician as many are potassium-sparing and they can cause dangerously high levels of potassium. Everyone knows spinach is a superfood, it’s been known for decades. 200 gram of spinach contains a whopping 1100 mg of potassium with only 50 calories. It’s also rich in other essential vitamins and nutrients including B12 and magnesium. Swap out regular table salt for Lite Salt™. Lite Salt™ taste just like regular table salt but is a blend of table salt and potassium. is another green superfood that is high in potassium. Broccoli contains 630 grams of potassium per 200 gram it’s also high in vitamin C with same serve giving you nearly 300% of your daily requirement. Along with fibre and only 70 calories, broccoli is a must for every ketogenic diet. We love avocado, it ticks so many ketogenic diet boxes. Avocado not only contains 485 mg of potassium, it’s high in nutritious fat that will fuel for your for hours on end. Cauliflower contains 600mg of potassium per 200gram. We eat a heap of cauliflower either, steamed, mashed with cheese or as a low carb rice alternative. Broccoli is also another high source of vitamin C.
Mmm mmm, mushrooms cooked in olive oil, salt and garlic. Mushrooms contain 740 mg of potassium per 200gram. They’re delicious, served them with steak and a side of broccoli and you’ve got a plate load of potassium-rich foods. 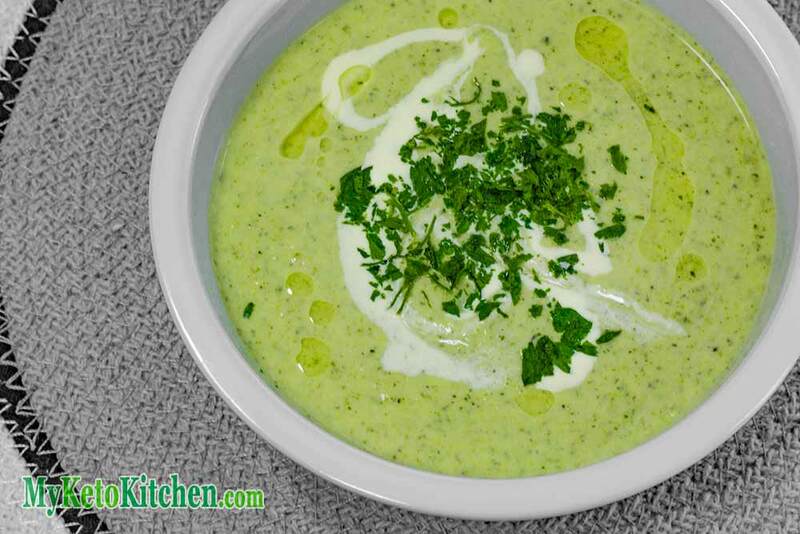 Zucchini or squash as it’s known in some parts is loaded with potassium at 520mg per 200gram. Many use zucchini as a faux noodle or spaghetti by shredding it into long strips. Who doesn’t love a good steak? Beef is loaded with potassium at 635mg per 200gram steak (but who only eats 200gram steaks? not me) and if you season your steak with lite salt (see below) you can increase that potassium even more so. Not only is salmon high in omega 3 fats but its also a great source of potassium. One 200gram salmon steak has nearly 830mg of potassium nevermind all those heart and brain healthy fats. Sardines are another fish that contains good serve of potassium, though an acquired taste (I like them). 200gram of sardines contains nearly 800mg of potassium. There really should be no reason why you would fall deficient in potassium on a ketogenic diet if you pay good attention to what foods you include in your meals. Almost all of our ketogenic dinner recipes include a good serving of potassium. Thanks for this! I’ve gone from eating almost no veggies and lots of carbs to starting a keto diet about 6 months ago. At first I followed the advise of low veggies because of the carbs. Didn’t feel energy and had a general malaise. I don’t want to take potassium or magnesium pills, and my Dr. advises against it anyway. I have been struggling with increasing my potassium and have gotten up to about half of the daily requirements by adding salads and kale shakes, along with a small amount of cooked veggies with meals … I feel and look so much better… stronger and healthier every day (at age 59!) This article helps me increase my intake even more simply by choosing the right veggies. Appreciate the info! That’s great to hear Denise. Sounds like you are getting healthier by the day!